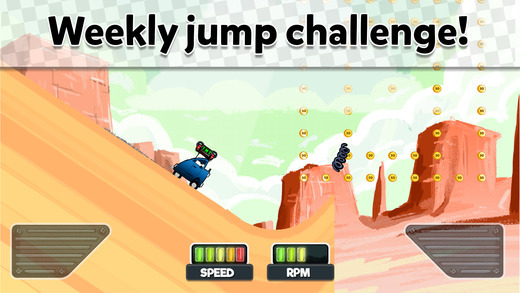 So you’ve played Hill Climb Racing far too many times, and you think it’s about time for a change. 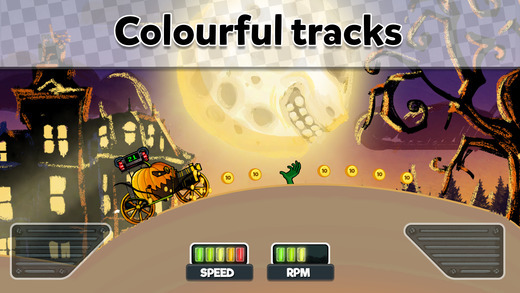 Today we’ve got a game that is similar to Hill Climb Racing, just with one massively terrifying difference. 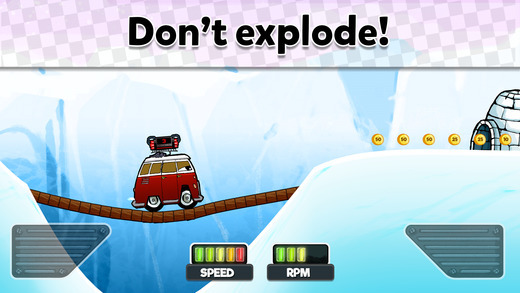 The game is played using pretty much the same controls as in Hill Climb Racing, (Gas and Brake), and is extremely easy to play “control wise”, but is surprisingly challenging to play without accidentally blowing yourself up. 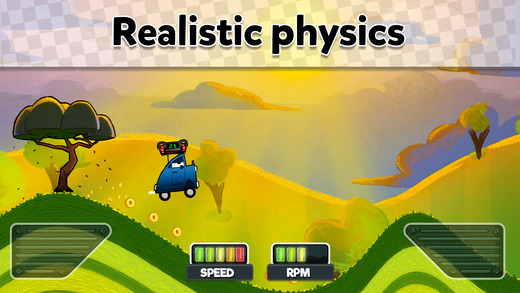 Although this may be due to the fact that we have yet to fully max out our car of choice, the cars in Time Bomb Race don’t really seem to handle crazy stunts such as flipping, backflipping, or high jumping as well as the cars in Hill Climb Racing. If you’d like to brush up on your skills at driving fast without jumping way up into the air, this is the game for you. Last but not least, Time Bomb Race features 2 game modes, a climb mode where you can carefully climb hills while trying not to explode, and a jump mode where you can gain coins extremely quickly, but are only permitted to play 2-3 times a day without watching ads. With an abundance of cars and levels to unlock, 2 game modes to test out your skills, and not much time left before this review self-destructs(!) 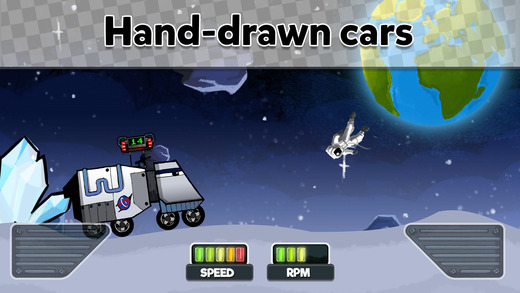 Time Bomb Race is a quick game you can play anywhere.